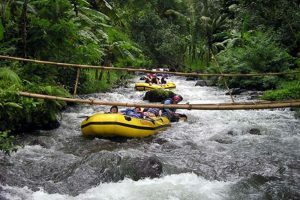 Bali Rafting Tour is an adventure tour in the river water in Bali, and this adventure will surely provide a memorable experience for filling holiday on the island of Bali. Travel adventures are often selected foreign and local tourists in completing his adventures on the island of Bali. The canals used in this adventure is the Ayung river and telaga waja river. where the two rivers provide a different experience and sensation. Ayung river is suitable for beginners who have never tried rafting but want to experience rafting with the waves were not great. and to the telaga waja river with rather large currents very suitable for tourists who want to try white water rafting with a deeper sense. 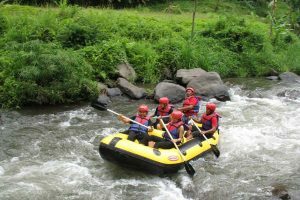 Adventure rafting in Bali is a very suitable choice for the lovers of water attractions, here we always put quality and good service. we work closely with providers rafting proven their quality and service, so do not hesitate if you want a message rafting in Asia Bali Tour. Once you try rafting adventure and you will definitely want to try it again. After completion of the rafting adventure you will be served a lunch with a buffet menu Indonesian food. lunch will be complementary to the rafting adventure in our place. Below are two rafting program that we provide for you to choose according to your desire that is rafting on the river Ayung or Telaga Waja River, at the same price but different sensations given. If you are a beginner we recommend choosing the Ayung river rafting adventure as you travel on the island of Bali. If you have questions about rafting, please do not hesitate to contact us. 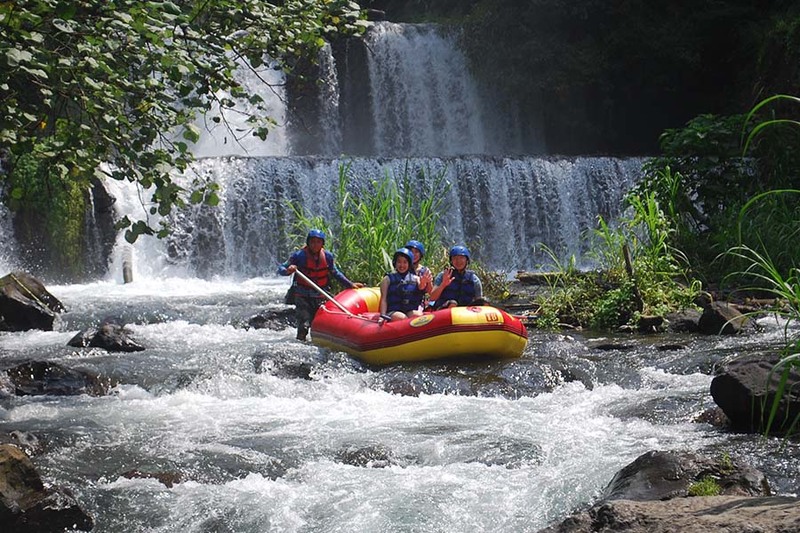 Ayung River Rafting Tour is Bali Rafting Tours Packages to enjoy the challenge of rapids White Water Rafting Adventure on the Ayung River in North Ubud Bali Islands. 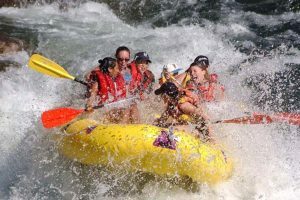 Ayung River Rafting is the most choice rafting for beginner, this rafting provide not so big rapids and safe for beginner which never try the rafting before but want to try the sensation of this ayung river rafting. The rapids class in this river is grade 2-3 rapids and very safe for beginners. Ayung River Rafting is located in the northern part of Ubud Village takes about 1 hour 30 minutes from Denpasar, Kuta, Legian and Seminyak and close to the village of Ubud. The length of the Ayung River in Ubud village north is 11.0 kilometers or 7.0 miles. Telaga Waja River Rafting Tour is a Bali Rafting Tours Packages to enjoy the adventure of White Water Rafting Adventure Tours at Telaga Waja River in East Bali Islands. The most choice river for those want to try more sensation. Telaga Waja River located in Muncan village, Karangasem Regency and is one of the longest river in East Bali islands. Is popular river in the east of Bali for try the most challenging white water rafting with amazing sensation of adventure you will have. Telaga Waja River can Reached Approximately 1 hours 30 minutes from Denpasar, Kuta, Legian and Seminyak. Telaga Waja River is the best white water rafting in east Bali islands with class 3-4 rapids challenge and still safe for beginners.